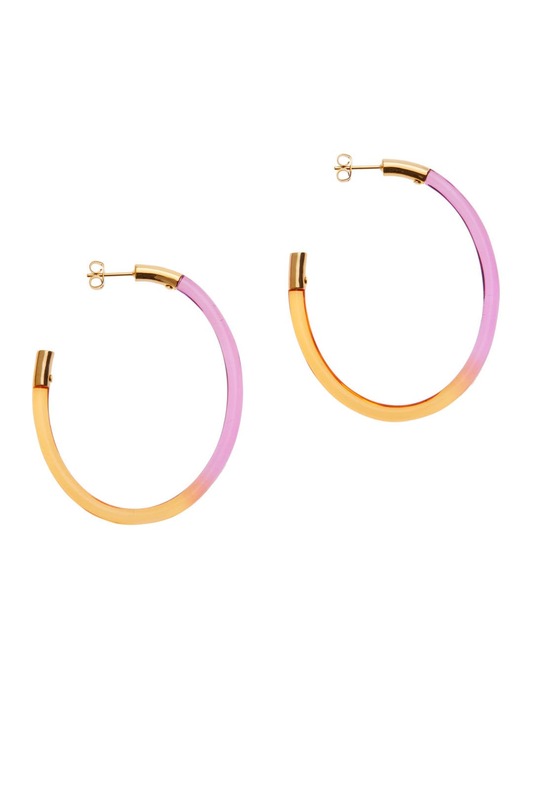 These two-tone hoops by Colette Malouf pass with flying colors. 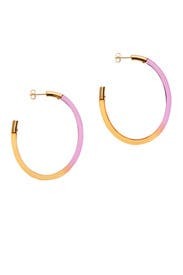 14K gold plated hoop earrings with fuchsia lucite accents. Post backs for pierced ears. 3" long.